Top dealerships for wheelchair mobility vehicles can be far from your home. AMS Vans is a top dealership, and our online sales program connects you to a mobility consultant who will help find the right new or used wheelchair accessible van for you, get low-interest financing, and complete the right forms. Next, you'll choose from several delivery options to bring your handicap van to Savage, Minnesota, or to nearby cities like Minneapolis, St. Cloud, and Duluth. Arrange for a mobility professional to drive your wheelchair van to your home or office, and then, fly home. Rather than accrue mileage during the delivery, you can have your handicap van brought to your location on a car carrier. Come see us in Atlanta, GA and pick up your handicapped van yourself. In addition to no extra fee, you'll likely receive a discount on the purchase price. Along with your van, AMS Vans delivers "White Glove Service," when an expert mobility professional demonstrates your van in detail, showing you how the factory features and conversion operate, answering your questions, and making sure you're confident in the use of your wheelchair van. Every accessible van purchase is always risk-free with our Total Satisfaction Guarantee upon delivery. At delivery or pick-up, take the time to check out your van. If something is unacceptable, we'll simply take the vehicle back to our headquarters, end the sale, and process a refund of your payment. Some customers choose to get the opinion of a local mechanic. Tell us where to meet you, and we'll wait with you during the inspection, after which you can make your decision. Sell your used minivan to AMS Vans for a great payout that can go toward a newer model. If you prefer to sell privately, you can list second hand wheelchair accessible vehicles for sale in our mobility classifieds, which targets buyers specifically looking for accessible transportation. 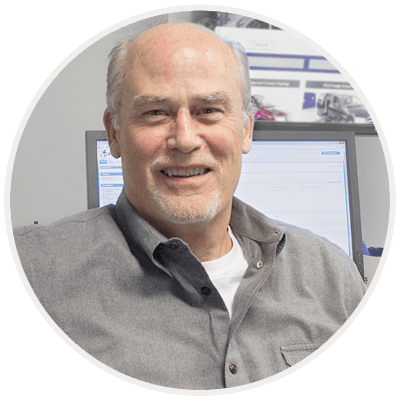 Speak with a mobility consultant now at 800-775-VANS(8267) to learn more about our company, our vans, and the accessible equipment we offer, like portable handicapped ramps. 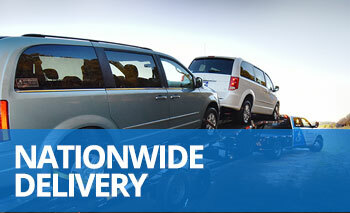 After we discuss your requirements, we'll suggest some wheelchair vans in our inventory. When you make your choice, we'll guide you through the paperwork. Easy! Join our nationwide family of thousands of satisfied customers who have found mobility independence in a handicap van.